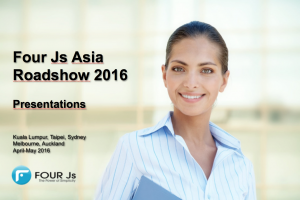 The FourJs APAC team racked-up some serious ‘air miles’ recently as it undertook a tour of South East Asia, Australia, and New Zealand promoting the latest features of Genero V3.00 to several hundred customers. 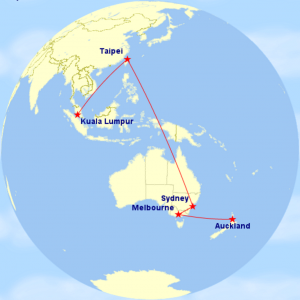 The cities of Kuala Lumpur, Taipei, Sydney, Melbourne, and Auckland played host to the show. Bryn Jenkins, COO – Four Js Development Tools Europe Ltd.
Scott Findlay, GM – Four Js Development Tools Asia Pty Ltd.
Christophe Meyer, Senior Project Manager, Genero Studio and Genero Report Writer – Four Js Development Tools Europe Ltd.
Reuben Barclay, Technical Consultant – Four Js Development Tools Asia Pty Ltd.
Morgan Ho, Technical Consultant – Four Js Development Tools Asia Pty Ltd.